Wool serves as one of Britain's most reliable and efficient textiles to date. It is easy to farm and collect, it is environmentally friendly and it is a way of sustaining British agriculture. Wool has many purposes. It is used in clothes such as jumpers and tights, can be used in blankets and is even found in building insulation as a thickener. When collecting wool, the first process needed is obviously sheep shearing. As horrible as the name may sound, all the process entails is stripping the sheep of its top layer of wool. The sheep will not be harmed by this process and another woolly fleece will have grown back within a few weeks. The next step of the process is called scouring. Once again, this sounds very unpleasant. However, scouring is the process of cleaning the wool, removing any dead skin and other bacteria. There are many different techniques to scouring which vary from a bath in warm water to chemical treatment with alkali and detergent. Farmers can use 'wool wax' (a sticky substance produced by the sheep itself which acts as an insulation layer between the skin and wool) to measure the quality of their land. Using the wool wax, farmers can determine the amount of nutrients in their soil as the wool wax will be more or less yellow and sticky depending on the richness of the land. The shearing of wool has been a tradition in the UK since Saxon times and gives farmers a regular source of income. Wool is also a hugely sustainable material and with the supply of sheep never short, wool will not be disappearing any time soon. The texture and how fine the wool is will determine what it is used for. 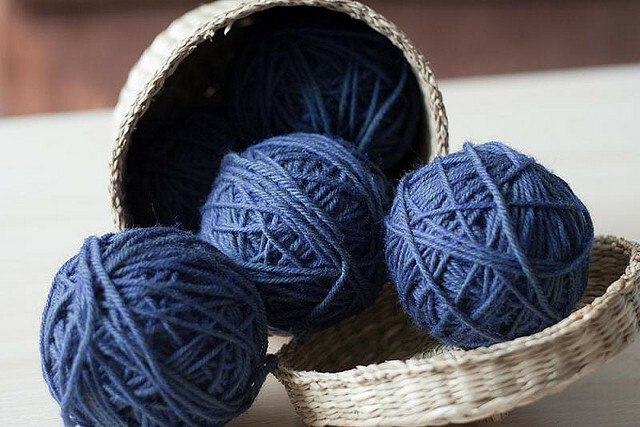 If the wool is fine enough, it can be used for making garments. Anything coarser will be used for things such as rugs as the wool will be tougher. Woolly rugs and cushions have been household fashion items since medieval times. Now, much more affordable wool has become less of a luxury and more a convenience and necessity. Available in many different colors and styles, wool is one material that has become a staple in our lives. So remember when your nana knits you a woolly jumper, never forget the time and effort that has gone into it. Also, give a little thanks to the bald sheep that the wool came from.